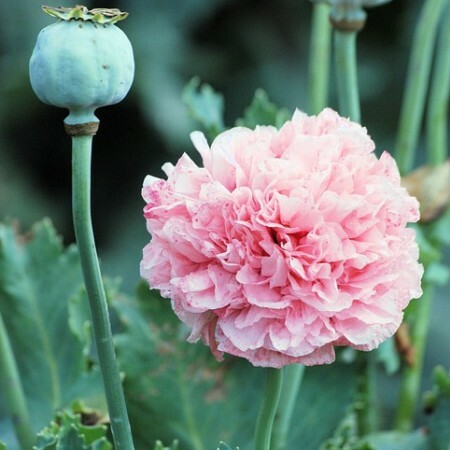 Somniferum is the variety of poppy whose seeds are most often used in culinary activities and baking. The seed oil is also used for a variety of purposes such as making paints, varnishes and salad dressings. Also like the peony, it has been a common feature of poetry and art dating well into ancient times. 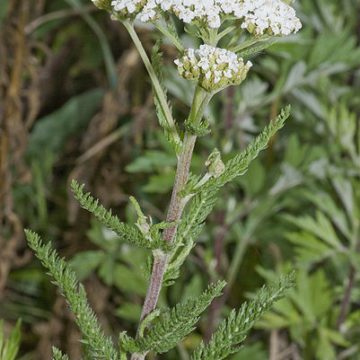 It is cultivated in many parts of the world as a crop and an ornamental flower. Unlike peonies, though, the flowers are not frilly. 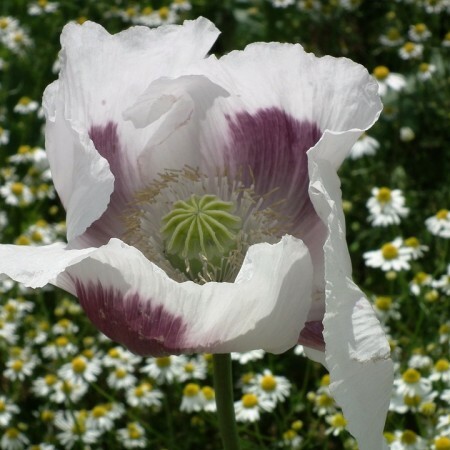 This variety’s attractive flowers are white with a purple mark in the center of each petal. 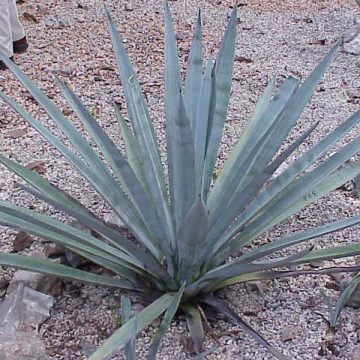 With plants stretching up to four feet, the foliage is bluish green and resembles lettuce. 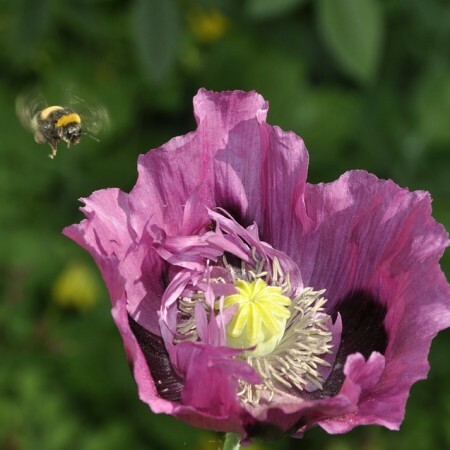 They will usually hybridize with other poppies if precautions are not taken to prevent cross-pollination. 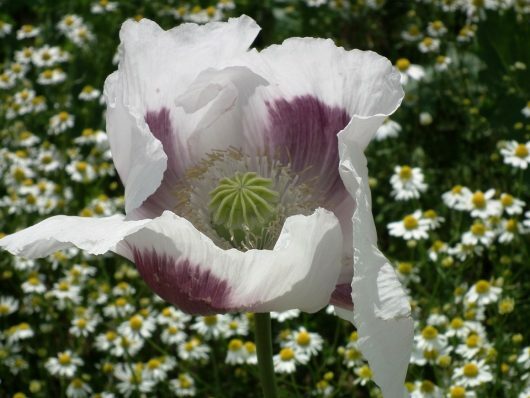 These high quality poppy seeds originate from Izmir, Turkey. 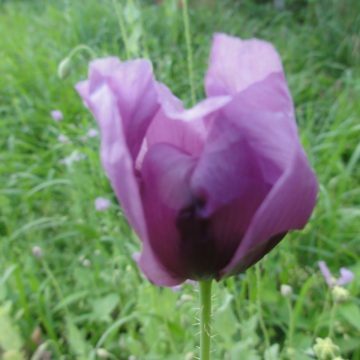 They are different than our standard Turkish poppy, which has purple flowers. 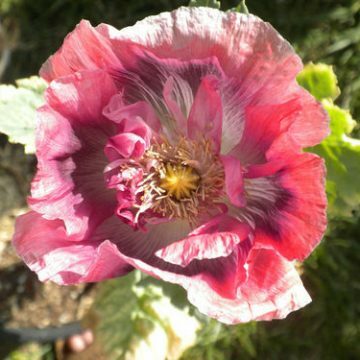 They are also not to be confused with our Izmir Afghan poppies. These poppies resemble the Tasmanian poppy by coloration, but they are from another location entirely. These seeds are pure black, whereas Tasmanian seeds are blue.